Do you remember that old Conway Twitty song? It's the current love song I'm singing to Fall. 1. My birthday - Yippee!!! 10. And a million other reasons! 1. I was sick. Stomach virus. Yuck! I'm so thankful no one else in my family got it. 2. Lots of house showings which means lots of cleaning and straightening. 3. Many, many work meetings. Did I mention I went back to teaching full-time? 4. I've been planning Claire's birthday party. 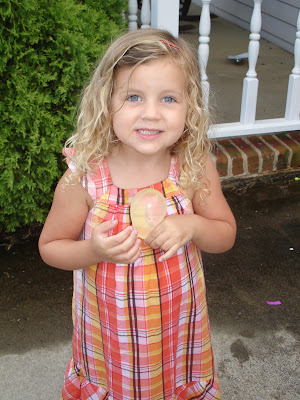 I still can't believe she's almost 4! 6. Brian bought a new grill and then subsequently spent many hours putting it together. 7. I got out my fall decorations (maybe I'll post some pictures). 8. Oh, I kicked off my birthday extravaganza week last night! Remember how I concluded that "Smack Me A Somerset" must have only been a phrase my mother's family used while she was growing up. That conclusion was based on the fact that only my mom and aunts said it, AND I could find nothing through a google search. I thought that if you can't find it on google, it doesn't exist. Sidenote: They think it means "to surprise", however the literal translation would mean to hit someone so hard it makes them turn a flip (aka somerset). When I surprise someone, it doesn't usually involve hitting them but oh well! For a short week, this sure has been a looonnnnggg week for me! I am so glad tomorrow is Friday! Thank you and good night. I found this meme and decided it was appropriate for today! Induced with both plus the pain was a good indication too. With both of them, at a hospital. I had an epidural with both. With Parker, it worked great for a few hours, then NOT AT ALL. I felt everything. Everything. With Claire, it worked gloriously. I felt nothing. Nothing. No C-sections for me which was good because I was convinced the doctor would find something wrong if he went looking around at my insides. Now you know just how crazy I truly am. 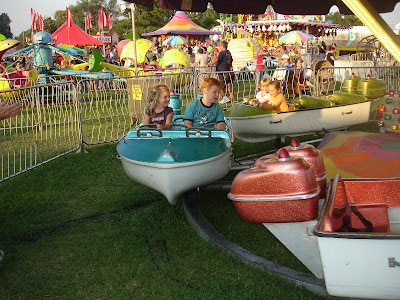 Well, we went to the fair. It's always an experience for sure! 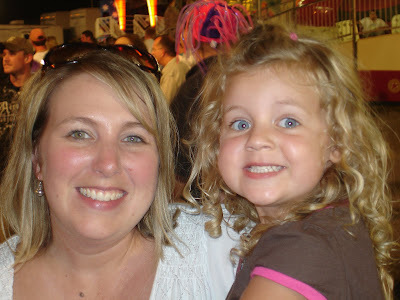 Going to the fair is another tradition in our family. 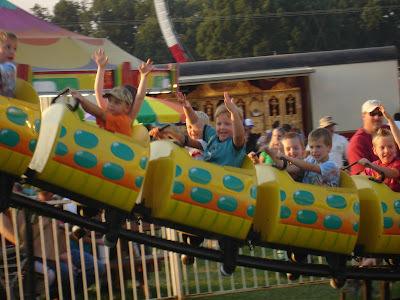 I went every year when I was young. I guess it's just part of growing up in East Tennessee. 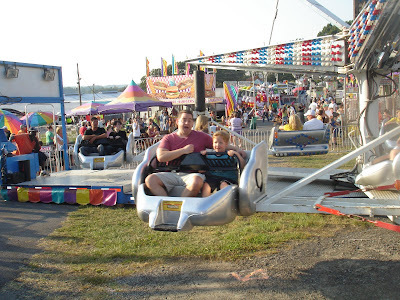 Here are Brian and Parker on Parker's new favorite ride. 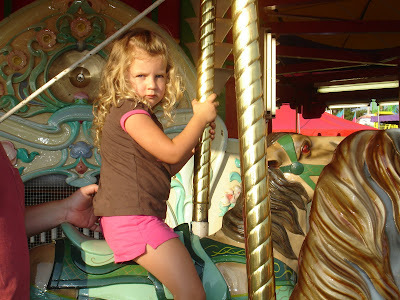 Claire actually enjoyed this carousel despite the look on her face! 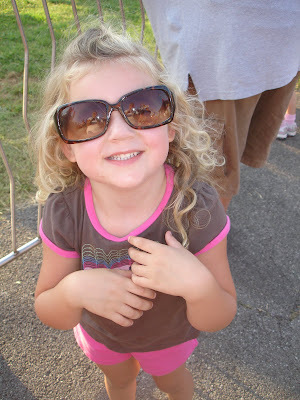 Claire just had to wear my sunglasses because the sun was hurting her princess eyes. 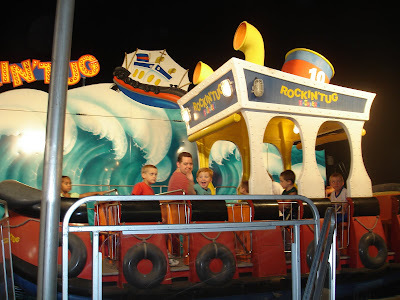 Parker really enjoyed this little roller coaster. We ran into Uncle Mark. 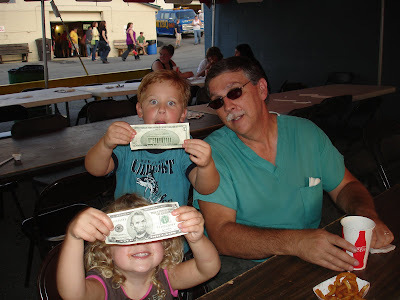 The kids were so excited when he gave them both $5.00! 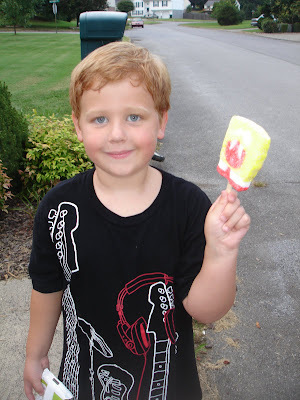 They bought ice cream with their new found fortune. 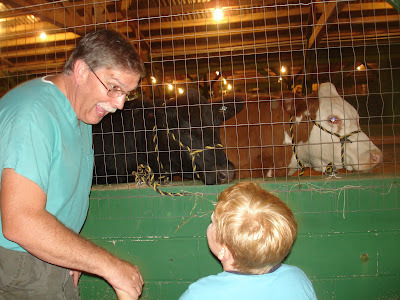 This picture makes me laugh because it looks like Mark is so excited to see these cows. The cows are a little less excited. 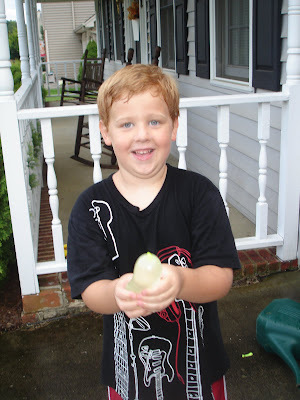 We had fun playing outside last night with bubbles, toys, and water balloons. 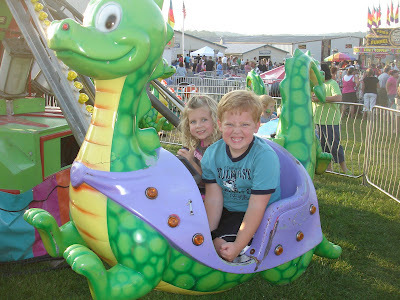 Parker and Claire both ended up soaked, but that's part of the fun! We were almost ready to head inside for the evening, when Brian and I heard an old familiar tune. Look what was coming down our street! 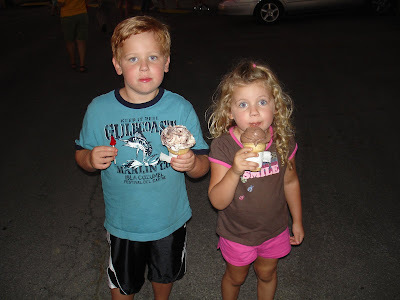 Parker and Claire had their first experience with an ice cream truck. 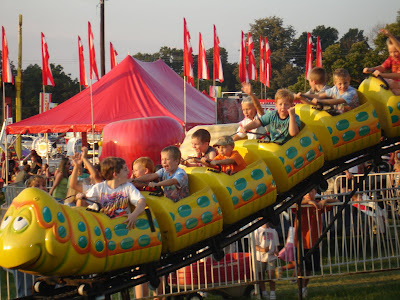 It brought back so many memories for me. 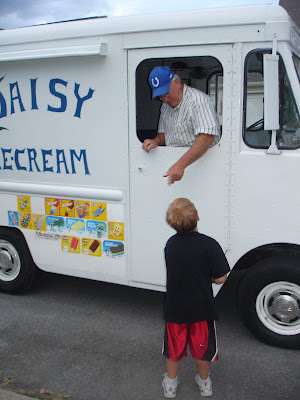 When I was little, the ice cream truck didn't come down our street (which is really just a long driveway). I had to wait with Heather at the top of the street with money in hand with hopes that we might be in the right place at the right time. 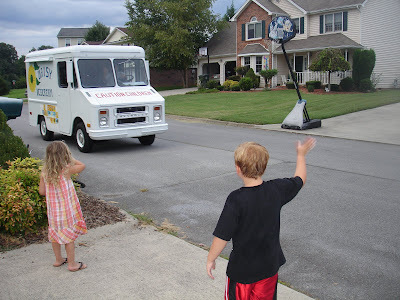 Occasionally, we weren't ready for the ice cream truck when we heard that music playing in the distance. We had to run (RUN!) to our houses and pray we made it back in time with our money. 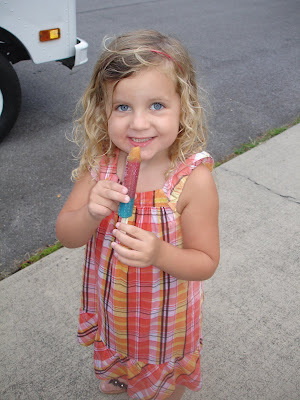 I used to get those strawberry shortcake ice creams and the popsicles that were red, white, and blue. What were those called? Oh, those were the days! 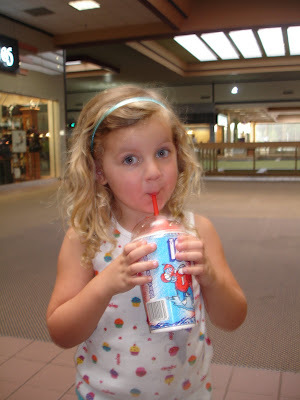 Tonight, we went to the mall and of course the kids had to have their usual Icee. 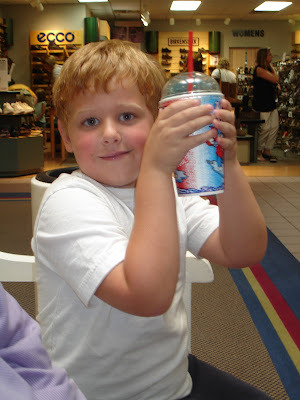 We really don't feed our kids sugar all the time as this post would suggest! 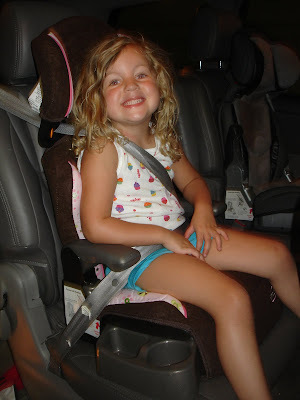 Claire got a booster seat today! 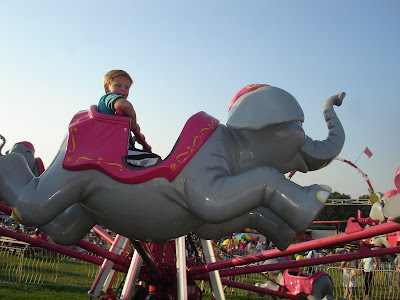 She is so proud of her big girl seat! Look what my sweet husband brought home for me today for no good reason! I definitely don't need it, but wasn't it thoughtful of him to surprise me with some of my very favorite treats? He's a keeper! P.S. 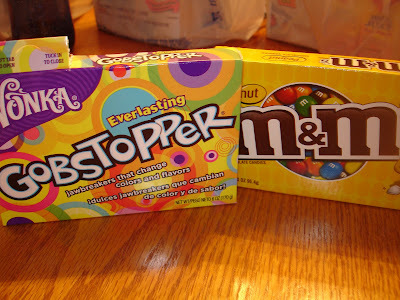 Did you notice I already tore into the Gobstoppers?